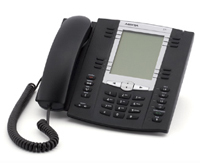 The Aastra 55i IP phone allows for extensive storage capacity for personal directories, redial lists and has 12 programmable keys for flexibility and control. Built with style, dependability and features the Aastra 55i offers exceptionable call quality and voice clarity is fully PoE capable. 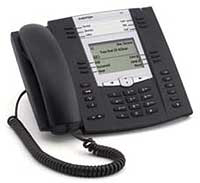 With advanced features such as shared call and bridged line appearances, call forward, call transfer, call waiting, intercom and local three way conference, this phone will please even the most demanding executive. For additional needs, the 55i supports up to three Aastra 536M modules, each offering 36 keys with LED indicators to create a feature rich functional attendant console. The Aastra 57i includes a large backlit LCD with great ergonomic design which has made Aastra a leader in IP phones. Offering powerful features like shared call and bridged line appearances, call forward, call transfer, call waiting, intercom and local three way conference, the 57i offers the superior call quality that Aastra has prided itself on. With expansion options from attaching up to three Aastra 536M modules, each offering 36 keys with LED indicators, the 57i can become a full functional attendant console. The 57i has been designed to support internal service applications using Aastra developmental guides. WDCT cordless technology expands VoIP beyond the desktop without the need for a separate wireless network. With all the features from the Aastra 57i IP phone and the mobility of the cordless handset this combination is an unbeatable pair for the retail worker, on the go health care professional, or the warehouse employee. Wireless coverage areas can be as large as 300,000 sq. ft., depending on the physical environment of the installation. Shares power right from the phone, so no additional wiring expense. 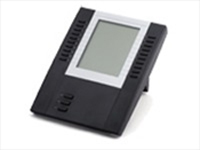 144 x 128 pixels graphical LCD display with 20 Softkeys with LED’s and 3 hardkeys with LED’s that provide access to three screen levels offering up to a total of 60 programmable keys. 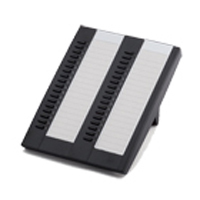 The 536M expansion module is equipped with LED status indicators and supports a variety of programmable features including Line, Speed Dial, Busy Lamp Field, Bridged Line Appearance, Shared Call Appearance and Do Not Disturb. Sharing both power and signaling with the 5i Series phone, the 536M can be easily added without additional installation or wiring expense. Simplified configuration via WebUI or configuration file from the phone.